The opening segment of director Andy Muschietti’s adaptation of It filled me with sheer dread. Yet, as Georgie’s paper boat slides inevitably towards that dark abyss of the storm drain my gut wasn’t quietly churning with anxiety at the impending appearance of Pennywise the clown, but at the rising fear the following two hours were going to be awful. They say you should always go with your gut, and my grumbling innards weren’t wrong. It’s opening salvo, superficially a near like-for-like remake of the 1990 adaptation, exposes all the film’s biggest flaws with the vivid glow of Pennywise’s blood red balloons. Bill (Jaeden Lieberher) and Georgie (Jackson Robert Scott) conduct a nauseatingly maudlin show of brotherly love, a flat attempt to inject some emotional clout to proceedings, before a slapstick barrier crash causes Georgie to lose his precious paper boat. The emergence of Pennywise, clothed in shadow, fails to yield either scares or thrills as, quite literally, he suffers from a gross-overbite that leaves little to the imagination. As bloody streams into the deluge of rain and an absurdly long arm hauls Georgie to a watery grave, I didn’t feel like floating, I felt completely deflated by It’s blunt execution. Stephen King’s 1986 novel It tells the story of a group of children battling against an evil supernatural clown, Pennywise, who’s terrorising a sleepy town in 1950s New England and remains one his most loved literary works. 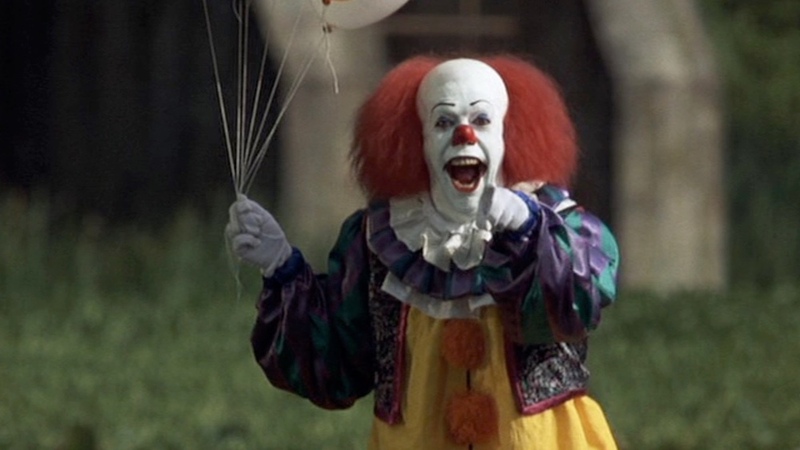 King’s novel and Tim Curry’s menacing portrayal of Pennywise in the 1990 mini-series single-handedly created a cult of fear around clowns that would persevere through the decades. Despite Curry’s memorable performance the mini-series has aged rather badly. On retrospective viewing the series leaves a legacy of dubious acting and archaic special effects meaning that, maybe just for once, a Hollywood remake would be a timely, welcome addition. So prolific are cinematic adaptations of King’s exhaustive bibliography that his output exists on two separate plains; screen and page. While everything from Carrie to Needful Things has been reworked for cinema, I firmly believe King’s best moments on screen have come when the humane elements usurp the supernatural. His greatest adaptations, such as Misery, The Shawshank Redemption, Stand by Me and, most prominently, Kubrick’s The Shining, all succeed in portraying both the depravity and capability of human beings in a believable context. While King may have loathed Kubrick’s take on The Shining, it remains not just one of the greatest horror films ever, but one of the greatest films of all time. It’s hard to believe this would have been the case had the original text’s animated topiary been shoehorned into proceedings with fast-dated CGI. 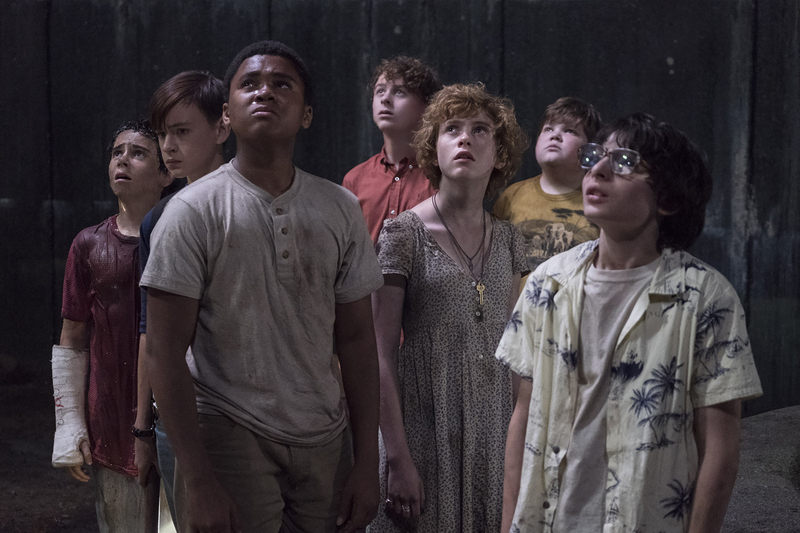 Rather than follow this tried and test formula, Muschietti’s adaptation of It mangles together a tonally deaf film incapable of matching its ambitions for serious horror with a coming of age drama. It’s failings lie with director Andy Muschietti whose vocabulary doesn’t include subtlety. 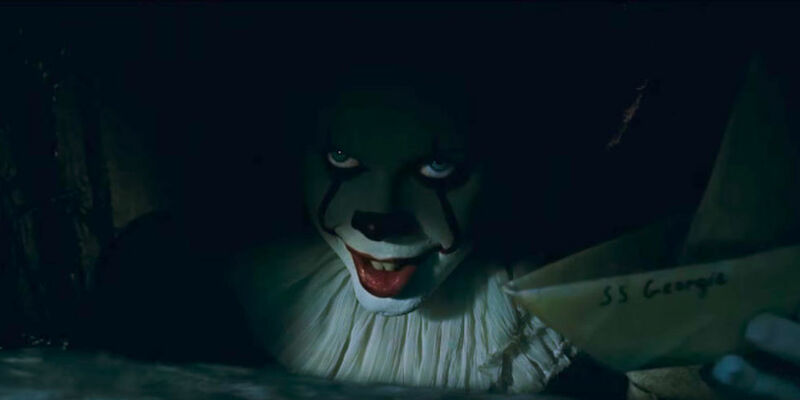 While Bill Skarsgård’s Pennywise was over-exposed in the film’s marketing campaign, Muschietti mishandles his star attraction by parading him around at every opportunity in a host of CGI doused guises. Pennywise’s contorting limbs and expanding jaws are spectacular effects, but any sense menacing mystery, and therefore genuine fear and horror, are sacrificed in the name of ostentatious showmanship. Muschietti’s sledgehammer direction is omnipresent throughout It, terrorising the film far worse than Pennywise ever could. In an attempt to present It’s adults as far more frightening and dangerous to the children than any clown, he creates a raft of obese, leering caricatures too ridiculous for plausibility. Similarly, the kid’s various fears, which Pennywise preys on and manipulates, manifest themselves in garish guises lacking in nuance. Sole female lead, Beverly (Sophia Lillis), sees her anxieties about womanhood materialise in bloody gushing out the sink, but this obvious connection is sledgehammered home by making her purchase tampons in the preceding scene. Perhaps most baffling is a cleaning montage, soundtracked by The Cure’s ‘Six Different Ways’, in the midst of a side story about incestuous abuse. Even shifting the action from the 1950s to the 1980s feels unnecessary, as if purely motivated by Stranger Things retro-fuelled success with the period. Considering Muschietti’s only other feature length directing credit is the unexceptionally dull horror Mama the glaring deficiencies of It aren’t all that surprising. It’s one redeeming feature is the performance Sophia Lillis’ performance as Beverly. Amongst her squabbling peers, Lillis stands out as a charismatic totem capable of injecting proceedings with emotional weight and maturity. It aspires to the comradery of King’s Stand by Me, but slick one-liners and cheap laughs undermine its attempts. Only Beverly seems to exist as a rounded human-being worthy of investment, and as a dead ringer for a youthful Amy Adams they’ve got ready-made replacement for chapter two. When Pennywise utters his infamous catchphrase ‘you’ll float too’, he quite literally means it. Between Cary Fukunaga’s writing and Muschietti’s direction there’s little possibility of metaphors, instead everything must be dumbed down to the literal level. It will entertain the masses in their droves, but this adaptation has missed a golden opportunity to create something genuinely chilling or at least intelligently fashioned. Instead, It ends up being a schlocky homage to Spielberg’s 80s adventures without any of the charm or craftsmanship. The fact Stephen King has given It his seal of approval perhaps says it all. Glad to see I was not the only person not impressed by ‘It’. The movie came off as a series of scenes, instead of a cohesive story. In the old mini-series I felt a close connection to the characters, where as with the remake I honestly didn’t care if Pennywise ate them for breakfast. It was pretty intense for me. Nice review.